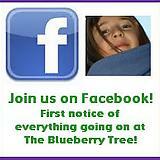 Save 40% off any in-stock item at The Blueberry Tree! Use code PEACE at checkout. Discount is not available with Layaway. ORIGINAL PRICE RANGE (depending on size) $82 - $103! *Items in this listing are final sale. Returns and exchanges are not accepted. Made with 100% organic cotton. A strong, supportive double twill weave. These are the newer weave from Colimacon et Cie, and are thinner with fabulous support and softness. Tinted and manufactured in France and Grenoble. Includes step by step instructions and pictures for various carry positions (front, back and on the hip). Suggested to wash in water no warmer than 40° Celsius/104° Fahrenheit. Highly suggested to hang dry. However, occasional dryer use or ironing is possible. They do not contain heavy metals or formaldehyde. The labels and documents contain all the required safety certification.